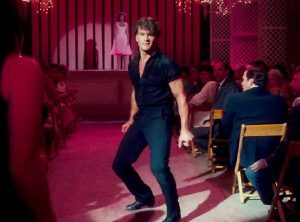 If you are reading this and you are around the age of 40 something, then you must remember the feeling you had when you saw Dirty Dancing for the first time and watched as Johnny Castle drove away from Baby and the Kellerman’s Resort. I felt like my heart would leap right out of my chest and it was like I could feel the dust from his car on my face. The lump in my throat. The tears dripping from my chin. 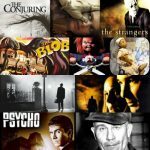 If you have ever wanted to go to the place that the movie was filmed, then you can! 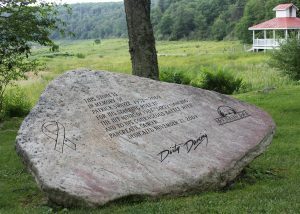 The Dirty Dancing Lodge is a real place, and it’s heaven on earth! Nestled high in The Blue Ridge Mountains, You couldn’t ask for a more beautiful view. I don’t know if you’ve ever been to the state of Virginia, but it’s a beautiful place. The weather, the people, the heritage, the scenery. 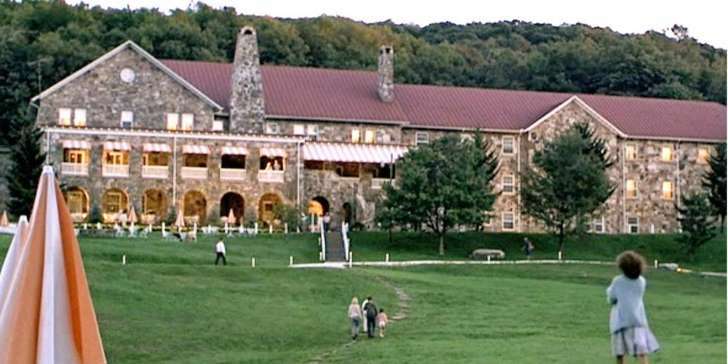 Kellerman’s Resort, as it was named in the movie, is Mountain Lake Lodge and it is located in a beautiful place called Pembroke Virginia. 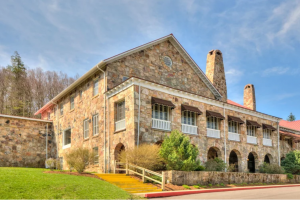 Mountain Lake Lodge is a stately stone hotel located on a 2,600-acre nature preserve. The original lodge dates back to 1851. By 1857, Salt Pond was operated as a vacation resort by the new owner, General Herman Haupt of Pennsylvania, who decided to rename it Mountain Lake. Stagecoach travelers were the primary guests of Mountain Lake at this time. The Virginia and Tennessee Railroad was built nearby in the 1850’s attracted visitors to Mountain Lake. During the years following WWI, Mountain Lake was known for music, entertainment, and dancing. From 1922 to 1925, a female orchestra played in the ballroom. Guests would ride up the mountain each season in the “Buzz wagon.” The lodge remained in operation for years, and in 1986, Dirty Dancing was filmed there. 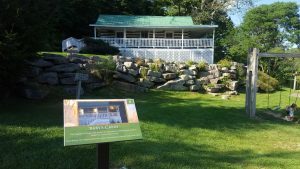 If you’re a fan of Dirty Dancing, and I’m sure you are, or you wouldn’t be reading this, you can visit the lodge and see some of your favorite locations from the movie. There are four beautiful cabins you can choose to stay in; they are The Mountain Stone Lodge, the Front Lawn Cabins, the Chestnut Lodge, and The Blueberry Ridge Mountain Homes. There is also a Patrick Swayze memorial/tribute stone that sits by the gazebo. The Mountain Lake Lodge has a Dirty Dancing package that is suitable for any big fan of the movie. This package includes dance lessons, a private tour of the locations that were used in the film. There is also a dance party that is included in the package. 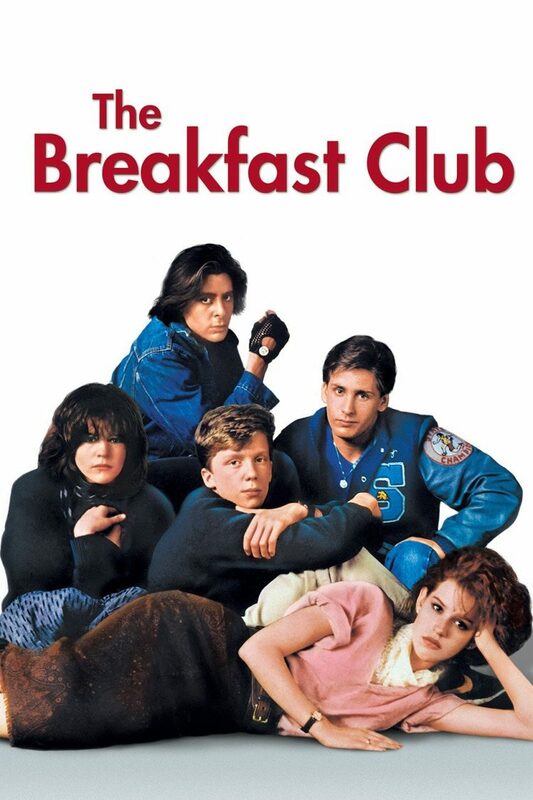 You and your friends can dance the night away to songs from the movie, including Hungry Eyes, Love is Strange, and (I’ve Had)The Time of My Life. If you aren’t the biggest Dirty Dancing fan and you are just looking for a beautiful place to get away and relax, then the lodge has other packages available to choose from, including adventure packages, wedding packages, date night packages, honeymoon packages… I think you all see where I’m going. They have something for everyone!!! 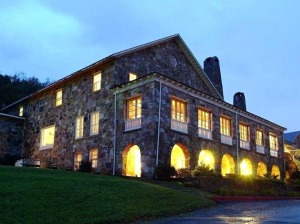 If you’d like to see more about this beautiful lodge, you can check out their website at http://www.mtnlakelodge.com. Previous Post: « It’s Time to give Kiss a Kiss Goodbye.